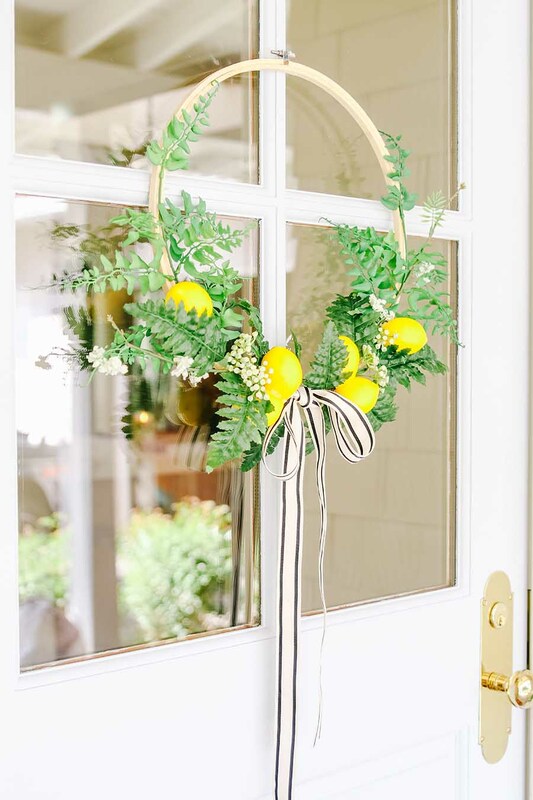 This spring hoop wreath with lemons is easy to make and is perfect to spruce up your front door! 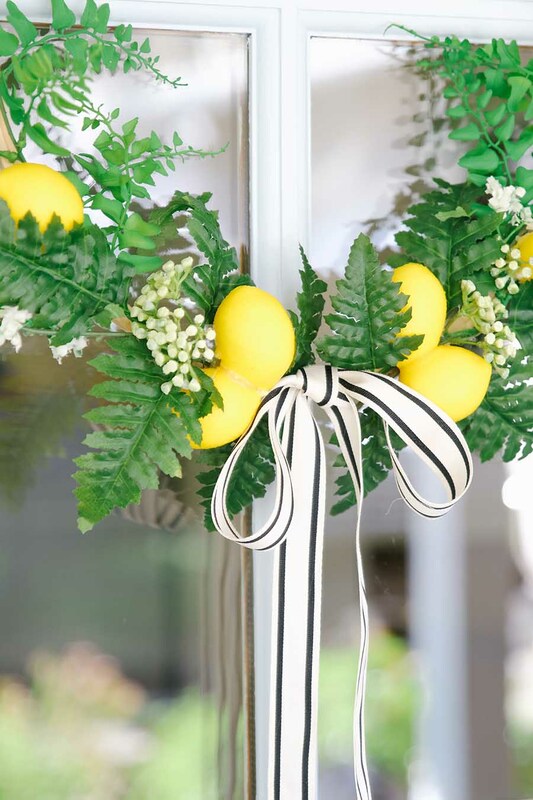 Greet visitors with cheery lemons that will last you until Fall. 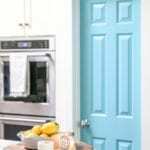 This easy DIY project takes less than 30 minutes and only requires a few supplies. I’ll walk you through the simple steps! 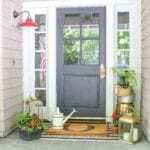 As the weather gets warmer I love to fix up my front porch for spring. 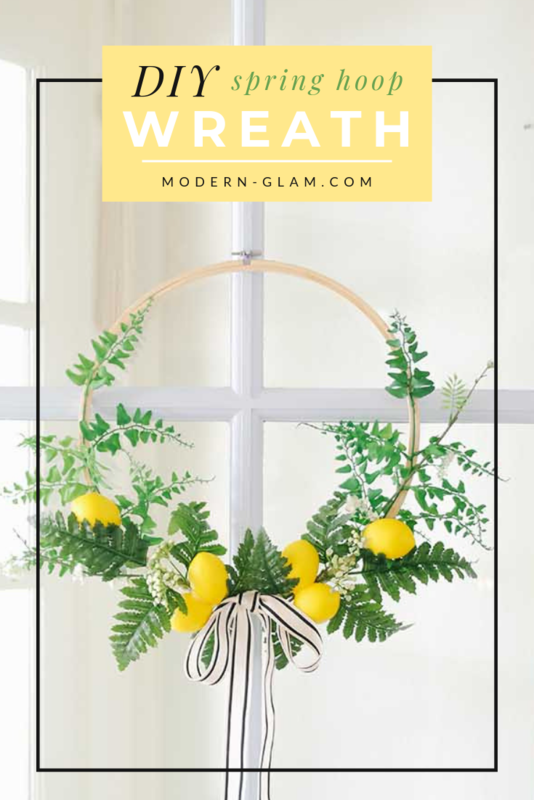 This spring hoop wreath is perfect for your front door with its cheery lemons and lush green ferns. 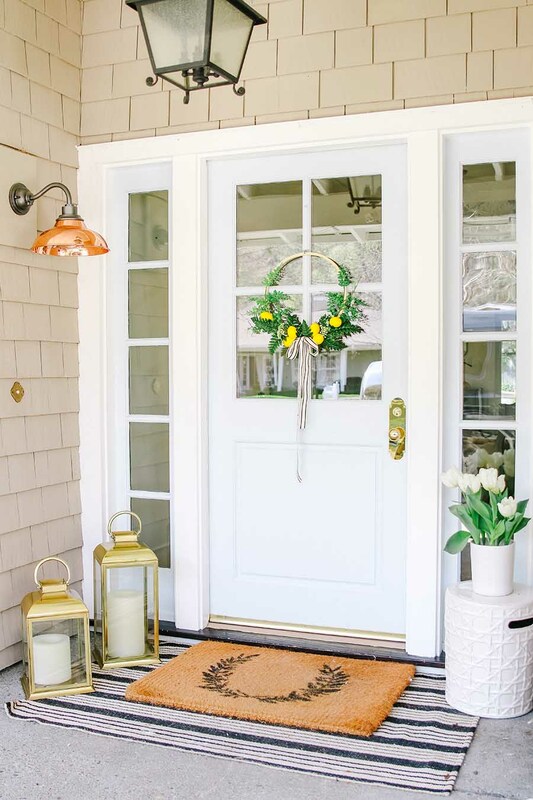 I will show you how easy it is to make this simple wreath that will last until fall! 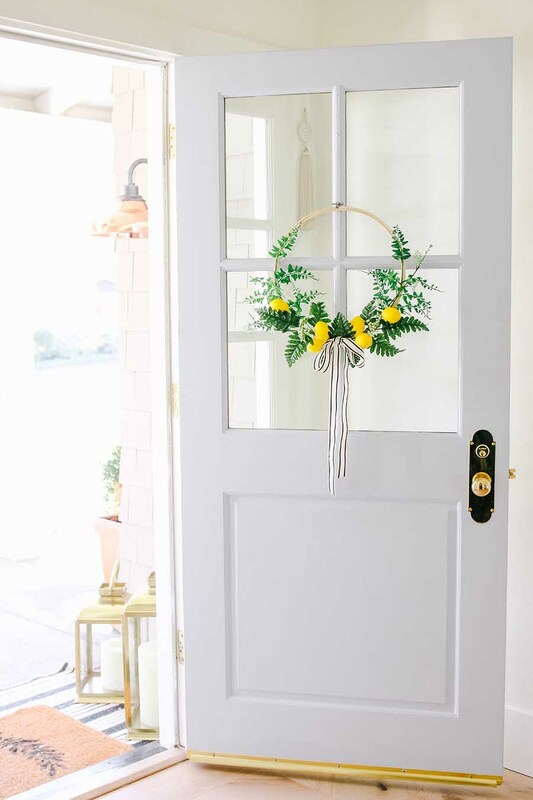 If you missed my Spring Floral Hoop Wreath from last year, be sure and check it out! It was my top pinned post for 2018. Also, be sure and check out all the other beautiful spring wreaths that are linked at the bottom of this post! 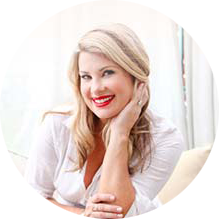 There is so much inspiration today! 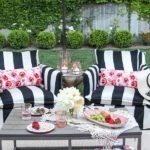 The supply list is simple for this DIY project. 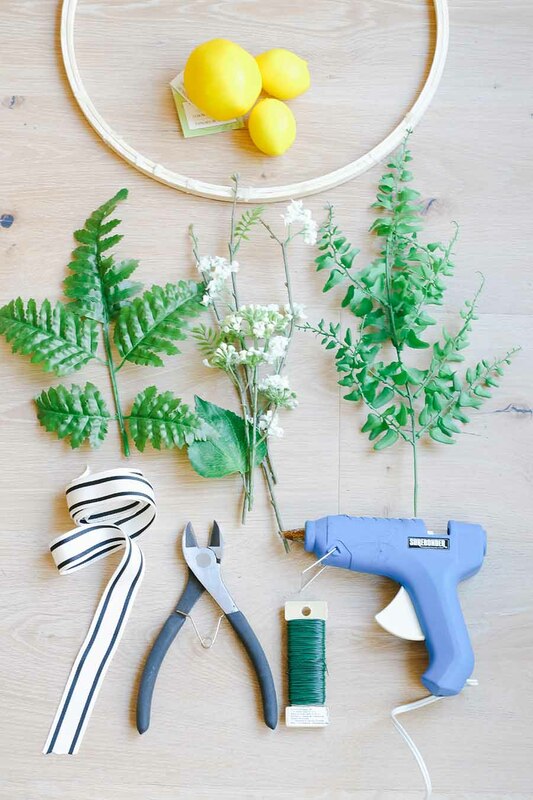 You will need basic craft supplies plus some faux lemons and greenery. 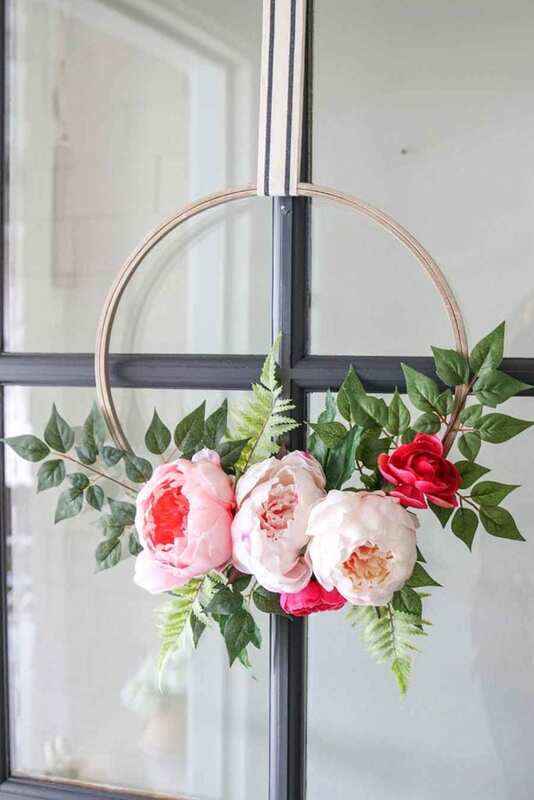 The first step to making this spring hoop wreath is to lay out your supplies and determine how you would like to arrange your materials on the hoop. I chose to put the ferns down first as a background and then added the other elements on top. I played around with the arrangement until it felt just right. 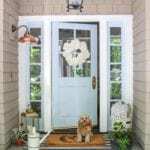 Now that you have your spring hoop wreath laid out, start to secure the greens and flowers to the frame. Use some floral wire to wrap the wire around the base of the stems to keep them in place. Don’t worry if they aren’t completely secure. We will be adding a final layer of hot glue to keep everything from slipping at the end. This is what the back may look like to give you an idea of how and where I wire tied the stems to the embroidery hoop. 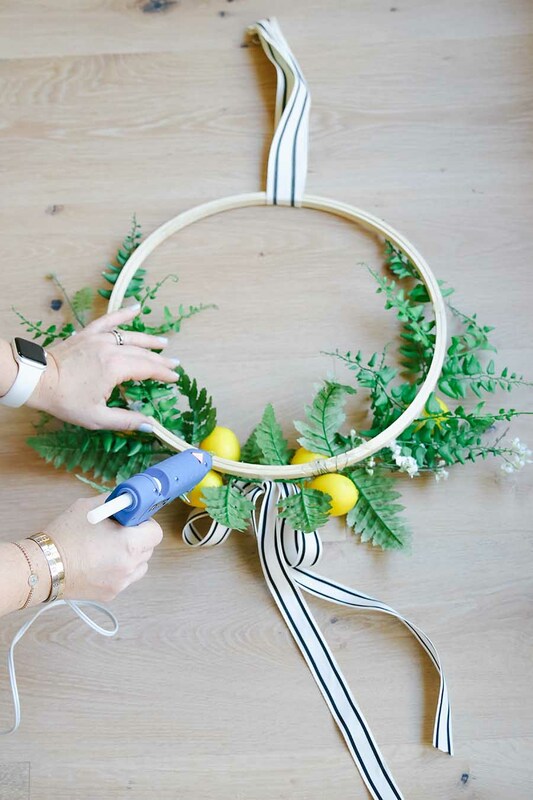 The next step to making this spring hoop wreath is to add your lemons and ribbon. I hot glued two lemons together to form a pair and then attached them to the wreath. See, it took some coercing, but I was able to secure the lemons to the frame with a lot of hot glue and a few minutes of holding them in place. Next you will want to remove any floral wire that is still showing. Make sure that if you have to remove the wire, that your elements will stay in place. And use some hot glue to secure any greens. I ended up just removing one section of wire towards the top and used a small dot of hot glue to keep the vine in place. And now add your ribbon if you choose. I tied a simple bow and secured the ribbon in the middle with some hot glue. 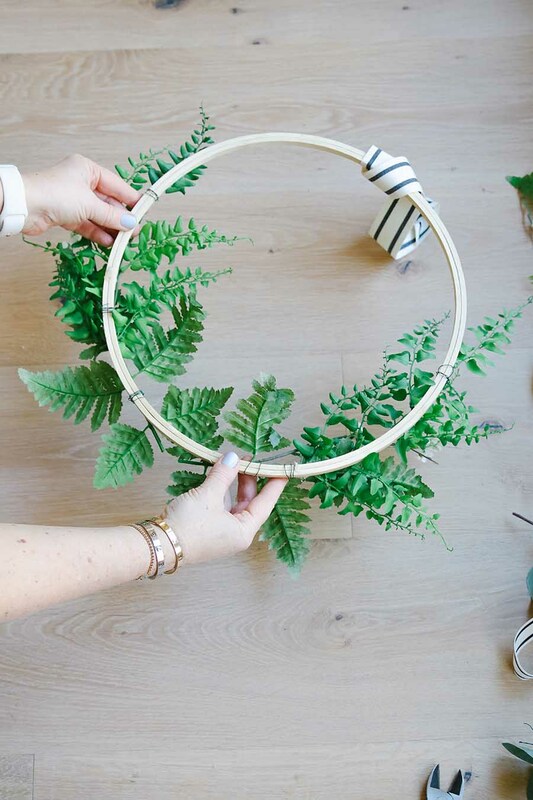 Now, this step is one of the most important steps in making this spring hoop wreath. Once your wreath is the way you want it to look, turn it over to the back. Take the hot glue and add dots of glue on the back of any wired sections. This will keep the wire in place and in turn keep your wreath elements from falling forwards when hung on your front door. Darn gravity! Note: because I was reusing the embroidery hoop from my Fall Hoop Wreath, most of my pictures show the ribbon attached at the top of the wreath. But, I did end up removing the ribbon when I was done. I chose to simply hang it on the nail on my door rather than from the ribbon. I liked the focus being on the ribbon at the bottom. 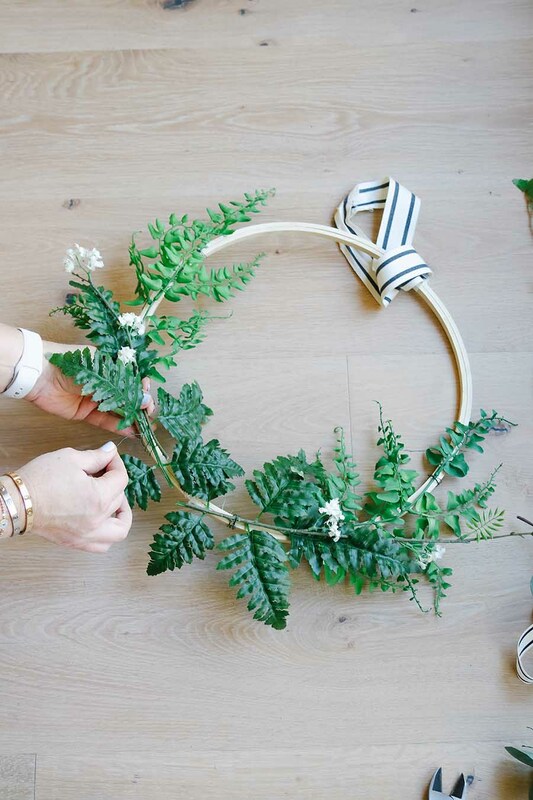 Just a few steps are involved in making your own spring hoop wreath! This project was quick and easy and took under 30 minutes to complete. 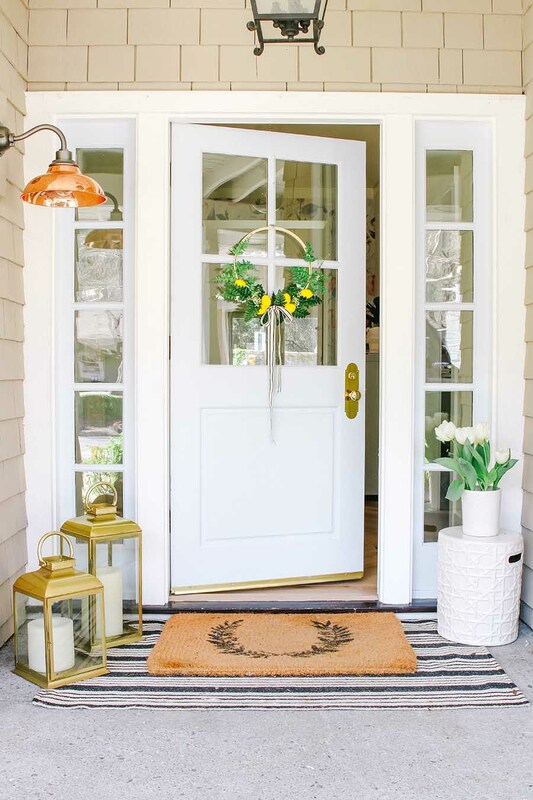 And I love adding a bright pop of yellow to my porch in the warmer months. Don’t you?